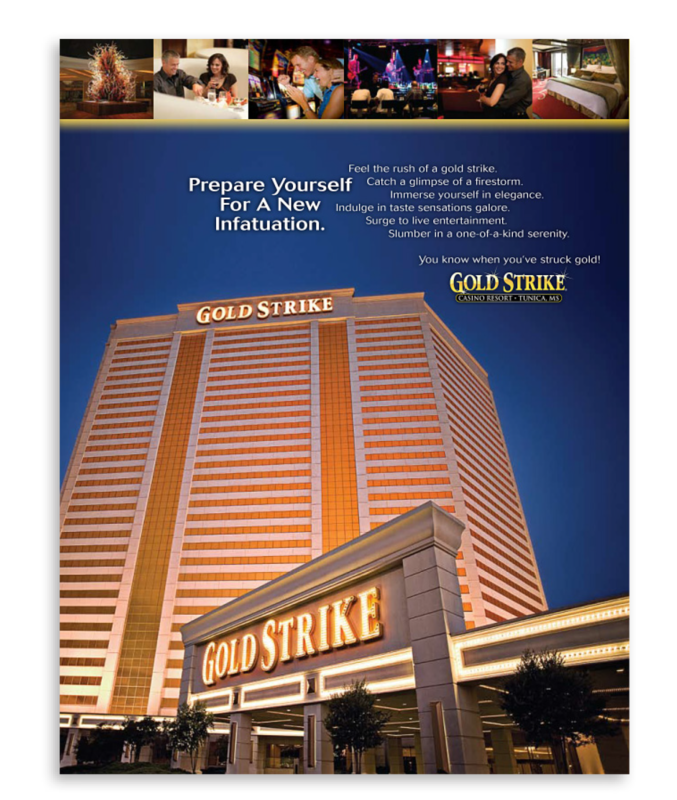 Gold Strike Casino. 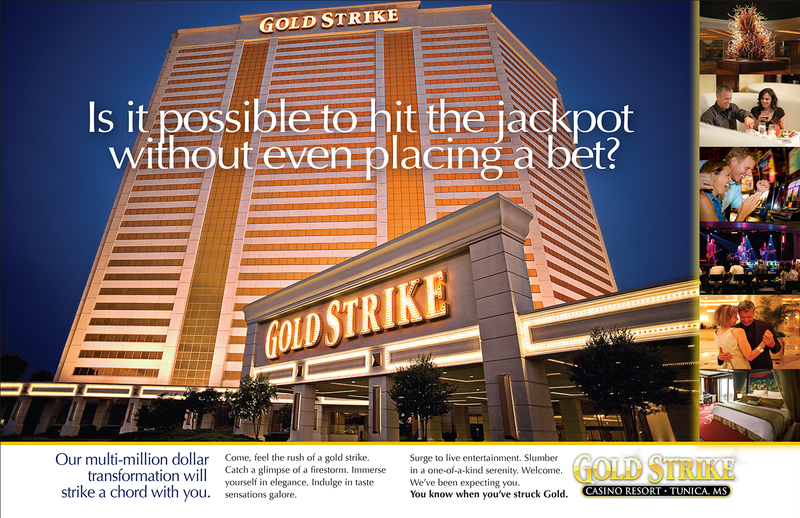 StimulusBrand partnered with an outside marketing firm to create an advertising campaign promoting Gold Strike Casino’s multi-million dollar transformation. 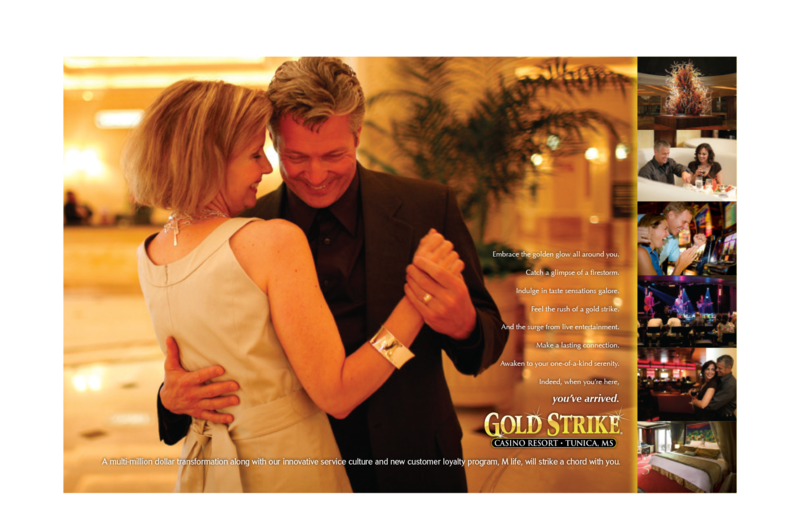 We developed Print Ads and Billboards featuring the excitement, comforts, and romance of a transformed resort. 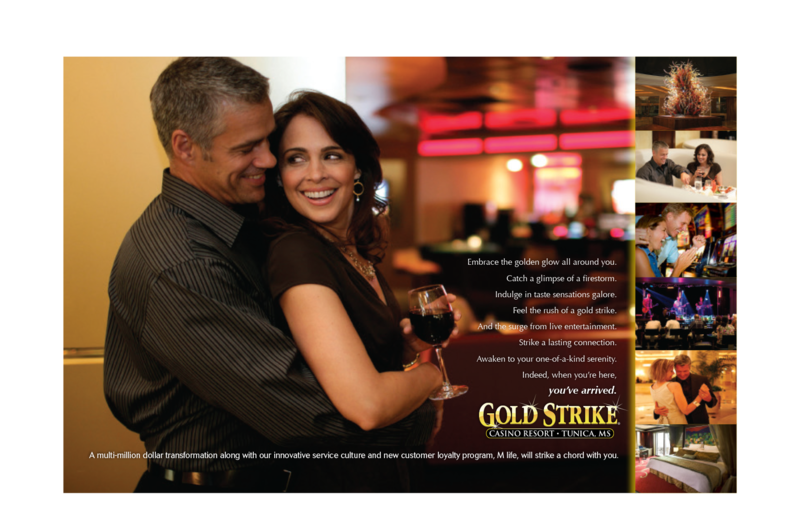 Messaging highlighted all-new table games and slots, luxury suites, new taste sensations, live entertainment, and the casino’s new MLife customer loyalty program.